ITV2 Celebrity series auditioning in your area! 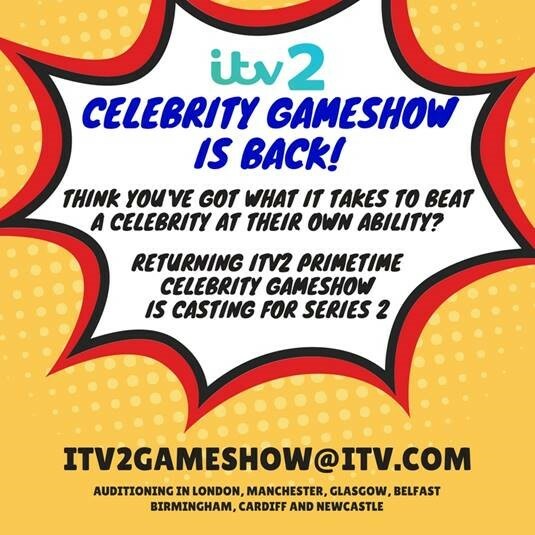 ITV2 Celebrity gameshow is conducting a nationwide audition tour really soon. They are currently accepting applications and would love you to get involved! This is a fun and energetic comedy entertainment show where teams of five friends play against a team of five celebrities in a series of hilarious games which are based around skills and abilities that the celebrities believe they naturally possess.